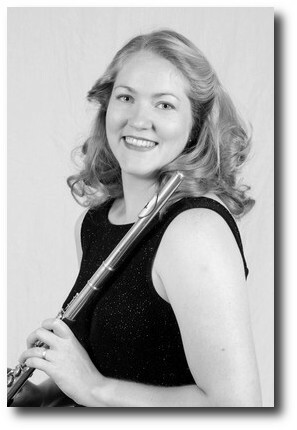 Dr. Kristen Stoner, an active recitalist and masterclass teacher, is in her twelfth year as the flute professor at UF. She has performed across the United States, South America, and Europe. She received her Bachelor's degree from the University of Texas at Austin and her MM and DMA from the University of Cincinnati College-Conservatory of Music. She studied flute with Karl Kraber, Bradley Garner, Jacqueline Hofto, and William Montgomery. She has performed in masterclasses for Julius Baker, Carol Wincenc, Randy Bowman, Jill Felber, Jim Walker, and others. Dr. Stoner is currently Chair of the Board of the Florida Flute Association, and has also served as Program Chair, Vice-President, President, and Board Member. Dr. Stoner has performed at the National Flute Association Conventions in New Orleans (20130), Las Vegas (2012), Anaheim (2010), Albuquerque (2007), Pittsburgh (2006), San Diego (2005), Nashville (2004), Washington, D.C. (2002), Dallas (2001), and Atlanta (1999). She is in her eleventh year as principal flutist of the Ocala Symphony Orchestra, with whom she performed the Ibert Flute Concerto in 2004. She also serves as principal of the Florida Lakes Symphony Orchestra. She has performed in prestigious competitions around the country, including the NFA's Young Artist Competition, the Flute Talk Magazine Competition in Chicago, and the Myrna Brown Competition in Dallas. She has also performed in the Opera Theatre of Lucca in Italy, the Lancaster Festival Orchestra, Jacksonville Symphony, and the Victoria Bach Festival. Intrigued by Latin American flute music, Dr. Stoner has done research on the flute music of Brazil, Argentina, and Chile. Her doctoral thesis on flute music of Brazil won the National Flute Association Thesis and Dissertation Competition in 2002. In 2003, she was invited to Chile to perform and give masterclasses at the Conservatorio Nacional in Santiago and at the Universidad Catolica de Valparaiso. In 2005, she was invited to perform and teach at the XV Internacional Festival de Flautistas in Quito, Ecuador. In the summer of 2011, she performed at the Festival Internacional de Inverno de Campos do Jordao and taught a masterclass at the Conservatorio de Tatui, both in Brazil. She recently performed an invited solo recital and concerto at the Festival Internacional de Flautistas in Lima, Peru, in May of 2013. Dr. Stoner is an advocate of new flute compositions by women composers, and she has performed recitals of this music at ten major national and international music festivals since 2001. Her flute orchestra arrangement of Charles Gounod’s Petite Symphonie, published by Megido Press in 2004, has been performed countless times across the United States, including at multiple NFA Conventions. The University of Florida Flute Ensemble, which Dr. Stoner conducts, was a featured group at the NFA Conventions in 2006 and 2011. Images for Solo Flute, Dr. Stoner's debut solo CD, has recently been released on the Meyer Media label and was positively reviewed by the Flutist Quarterly (NFA) and Flute Talk Magazine. The CD includes music by Katherine Hoover, Shulamit Ran, Shafer Mahoney, Claude Debussy, Arthur Honegger, Victoria Bond, Ivana Loudova, Kristen Stoner, Cesar Vivanco Sanchez, Eugene Bozza, and Libby Larsen. Five of the works are world premiere recordings. Her new CD, Colors for Solo Flute, will be available in September of 2013. Built on Kube Web Framework by Imperavi. Adapted by Dan Stoner.Copyright 2019 unless otherwise noted.